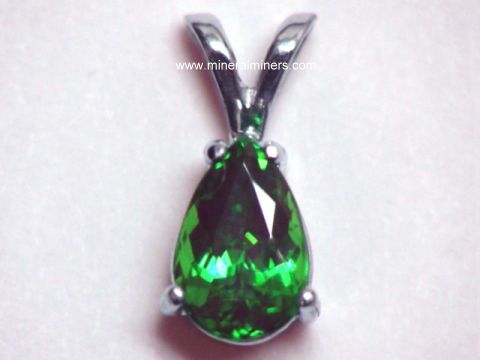 Try our Natural Almandine Garnet Jewelry Satisfaction Guarantee - compare our prices and our superior quality. 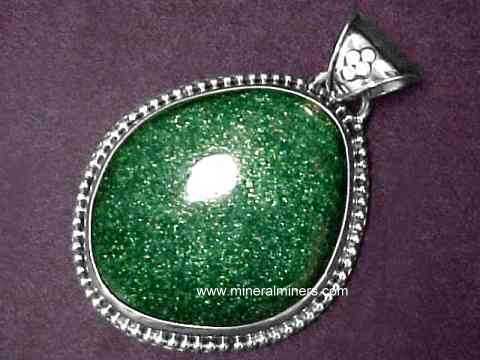 Click on any natural color almandine red garnet jewelry image below to enlarge it. This superior quality natural garnet ring is set with an 8x6mm oval shape deep purplish-red cabochon gem of natural almandine garnet. 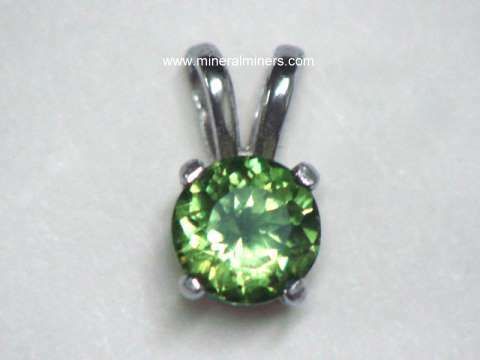 This natural garnet gemstone has beautiful natural color. This genuine red garnet jewelry design was handcrafted in fine sterling silver. This natural almandine garnet ring is set with seven purplish-red natural color almandine garnet cabochon gems. The largest of these almandine garnet gemstones is an 8mm round cabochon in the center of the ring, surrounded by six more round almandine garnet gems measuring 5mm in diameter each. This genuine red garnet jewelry design was handcrafted in fine sterling silver. We have this beautiful almandine garnet ring available in a ring size 6. This superior quality natural garnet ring was handcrafted in sterling silver and set with a 14x7mm marquis shape deep red almandine garnet cabochon gemstone. This natural garnet gemstone has beautiful dark red natural color! This natural garnet ring was handcrafted in sterling silver and set with three oval shaped faceted gems of almandine garnet measuring from 6x4mm up to 7x5mm. These natural garnet gemstones have beautiful dark reddish natural color. This natural garnet ring was handcrafted in sterling silver and set with three 6mm round faceted round gems of natural almandine garnet. These genuine garnet gemstones have beautiful dark reddish natural color. This natural garnet ring was handcrafted in 925 sterling silver and set with eight deep red faceted almandine garnet gemstones: two 8x4mm marquis shapes, four 3mm rounds, and two 7x5mm pear shapes. These natural garnet gemstones have beautiful dark reddish natural color. This natural red garnet ring was handcrafted in solid 925 sterling silver and set with a 10mm trillion cut deep red almandine garnet gemstone. This heavy sterling silver ring has 1/4 ounce of 925 sterling silver! It can be worn by a man or a woman. 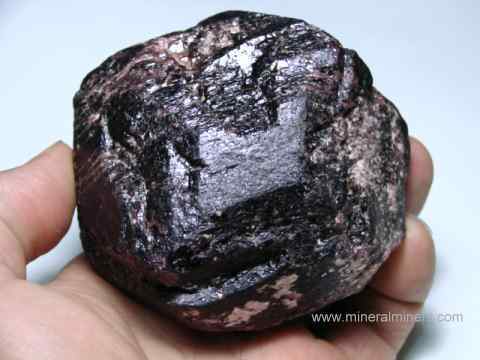 The natural garnet gemstone has beautiful dark reddish natural color that is so dark it appears almost black with deep red flashes in its depths. See also a side view of this natural red garnet ring. This natural red garnet ring was handcrafted in 925 sterling silver and set with a natural color deep red almandine garnet gem. 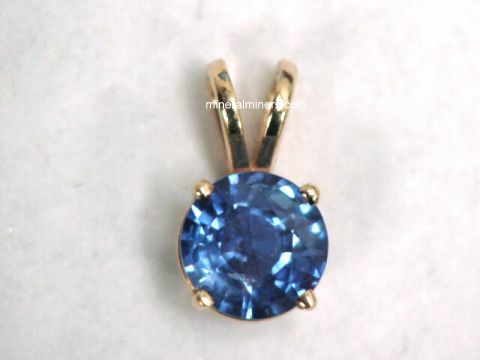 This genuine garnet gemstone is a 9mm trillion cut gem. 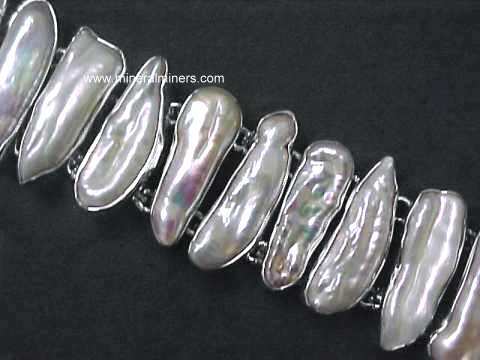 It can be worn by a man or a woman. The natural garnet gemstone has beautiful dark reddish natural color that is so dark it appears almost black with deep red flashes in its depths. This natural garnet ring was handcrafted in sterling silver and set with seven orange-red natural color almandine garnet gems. The smallest of these almandine garnet gemstones is a 4mm round faceted gem in the center of the ring, surrounded by six marquis shape cabochon gems measuring 8x4mm each. 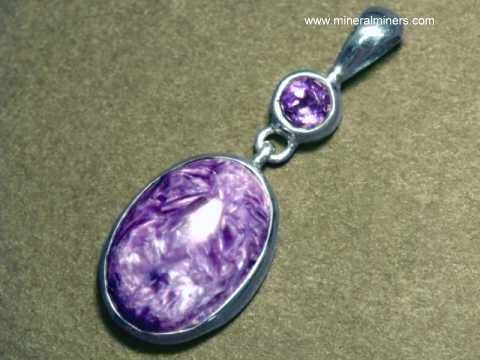 This natural garnet pendant was handcrafted in sterling silver and set with a lightly included 10x8mm almandine cabochon gemstone with beautiful deep purplish-red natural color! This natural red garnet pendant was handcrafted in sterling silver and set with two lightly included almandine garnet cabochon gems (an 8x6mm oval and a 14x10mm pear shape) with lovely deep red natural color! This genuine red garnet pendant was handcrafted in sterling silver and set with a 6mm round faceted gemstone of natural dark red almandine garnet and with a 6mm round faceted gemstone of natural smoky quartz. This genuine garnet pendant was handcrafted in sterling silver and set with ten faceted gemstones of natural almandine garnet. 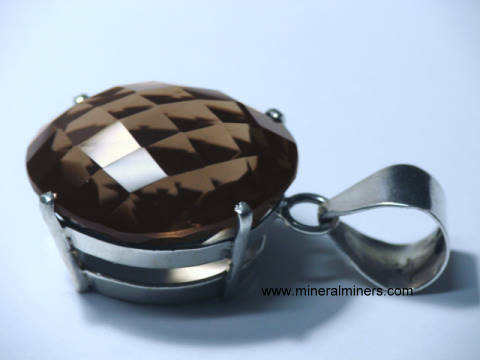 Five of the almandine garnet gems are 4mm rounds, and there also are five 4mmm square faceted almandine garnet gems, all with lovely orange-red natural color. 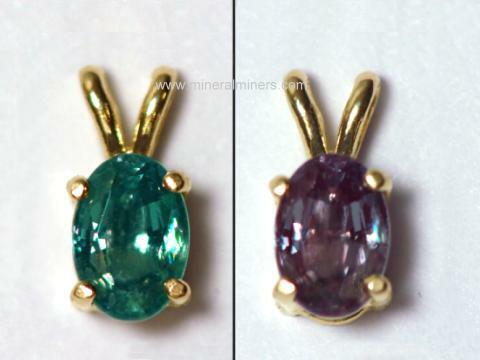 The photo at left shows a front view, see also a side view of this genuine red garnet pendant. This genuine red garnet pendant was handcrafted in sterling silver and set with a 9x6mm pear shaped faceted gemstone of natural dark red almandine garnet and with a 10mm round freshwater pearl. This beautiful red garnet pendant was handcrafted in sterling silver and set with faceted gems of natural dark red almandine garnet. 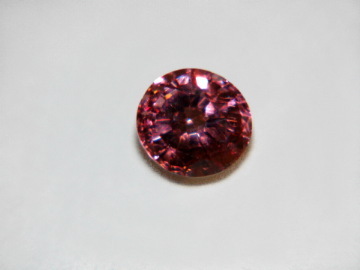 There is a 5mm round gem set up above above a 10x5mm marquis shape red garnet gem. This beautiful red garnet pendant was handcrafted in sterling silver and set with faceted gems of natural dark red almandine garnet. There is a 5mm round set up above, a 4mm round in the middle, and an 8x5mm pear shape below. All are natural red garnet faceted gemstones. This beautiful red garnet pendant was handcrafted in sterling silver and set with two 10x5mm marquis faceted gems and two 6mm faceted rounds. All four gems are natural dark red almandine garnet. This beautiful red garnet pendant was handcrafted in a flower design in sterling silver and set with superior quality natural red garnet faceted gemstones. There is a 5mm round red garnet at the center surrounded by six 7x5mm pear shape deep red garnet gems. These beautiful garnets have deep reddish natural color under incandescent light. This beautiful red garnet pendant was handcrafted in 925sterling silver and set with faceted gems of natural dark red almandine garnet. 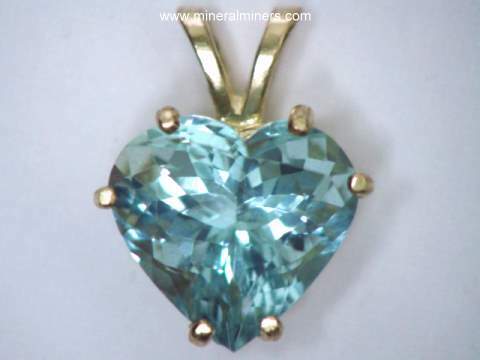 There is a 10x5mm marquis shaped gem set up above, two 8x5mm pear shaped gems in the middle, and a 9x6mm pear shaped gem below. 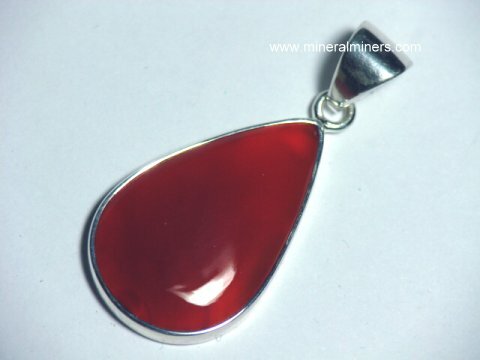 This large red garnet pendant measures over 2 inches long. 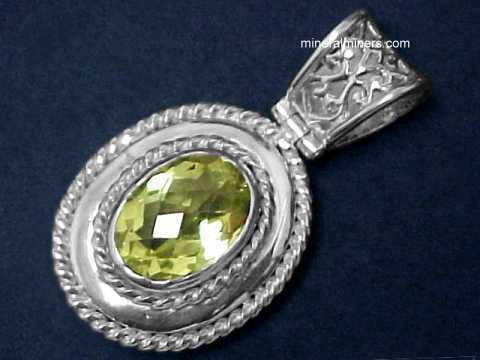 It was handcrafted in 925 sterling silver and set with faceted gems of natural dark red almandine garnet. 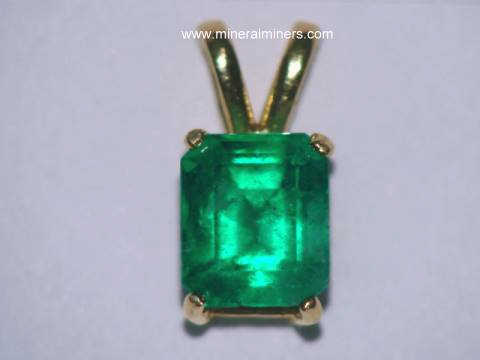 There is a 6mm round gem up above, a 12x6mm marquis shape gem in the middle, and a 3mm round gemstone below. All three are natural color red garnet gemstones. Set with 11 carats total weight of natural red garnet faceted gems! This beautiful red garnet pendant was handcrafted in sterling silver and set with four superior quality pear shape red garnet faceted gems measuring 10x7mm, each with natural dark red color. This fine quality red garnet pendant was handcrafted in sterling silver and set with four marquis shape faceted gemstones of natural dark red almandine garnet, two measure 10x5mm and two measure 12x6mm. This beautiful reddish purple garnet pendant is set with eleven 3mm round cabochon gemstones of natural almandine garnet surrounding a single larger 6x4mm oval shaped natural garnet gem. This genuine garnet cross pendant was handcrafted in solid 925 sterling silver. This red garnet pendant was handcrafted in 925 sterling silver and set with five 5mm round faceted almandine garnet gemstones. These natural garnet gemstones have beautiful reddish natural color - they are unheated and untreated. Set with 9.0 carats of faceted red garnet gemstones! This beautiful red garnet pendant was handcrafted in sterling silver and set with seven superior quality faceted gems of deep red natural garnet. This flower design pendant is set with a 5mm round gem at the bottom, and with a 3mm round gem above surrounded by five faceted 8x6mm ovals. See also a another view of this fine quality natural red garnet jewelry design. This fine red garnet bracelet is set with nine superior grade natural almandine red garnet faceted gemstones in 5mm round cuts. These eye clean garnet gems have very beautiful deep reddish natural color - they are unheated and untreated. 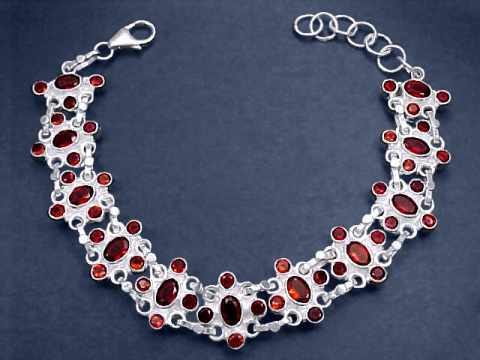 This genuine red garnet jewelry design is set in fine 925 sterling silver. This fine red garnet bracelet is set with nine superior grade natural almandine red garnet faceted gemstones in faceted oval shapes measuring 7x5mm. These eye clean garnet gems have very beautiful deep reddish natural color - they are unheated and untreated. 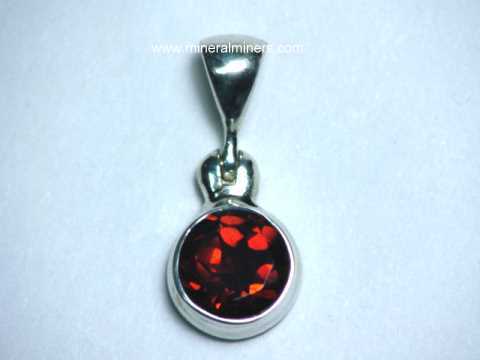 This genuine red garnet jewelry design is set in fine 925 sterling silver. This fine red garnet bracelet is set with ten superior grade natural almandine red garnet faceted gemstones in faceted pear shapes measuring 7x5mm. These eye clean garnet gemstones have very beautiful deep red natural color - they are unheated and untreated. 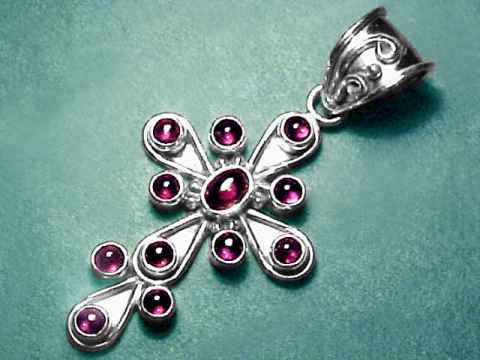 This genuine red garnet jewelry design is set in fine 925 sterling silver. Large Red Garnet Bracelet in Sterling Silver! This wonderful red garnet bracelet is set with 53 natural almandine garnet faceted gemstones! There are forty-two 3mm rounds and eleven 6x4mm ovals. 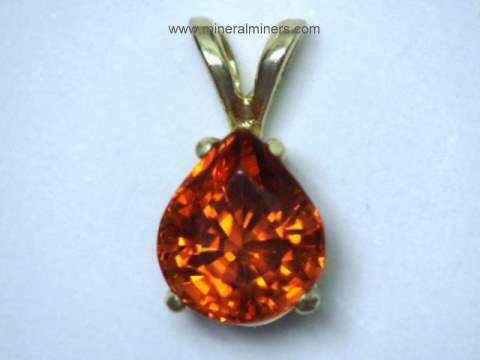 These genuine garnet gemstones have very beautiful deep red natural color. This genuine red garnet jewelry design is set in fine 925 sterling silver. This genuine smoky quartz with red garnet bracelet was handcrafted in sterling silver and set with six 15x11mm oval checkerboard faceted natural smoky quartz gemstones, and with five 6mm round faceted gems of natural red garnet. The garnets were mined in India, and the smoky quartz gems in this genuine smoky quartz with red garnet jewelry design were faceted from eye clean areas within 100% natural smoky quartz crystals that were mined in Brazil. This beautiful red garnet bracelet has open back settings underneath the smoky quartz gems. See also a full-view photo of this superior quality bracelet of red garnet with smoky quartz. Each of these natural red garnet earrings was handcrafted in 925 sterling silver and set with a 6mm round faceted red garnet gemstone. 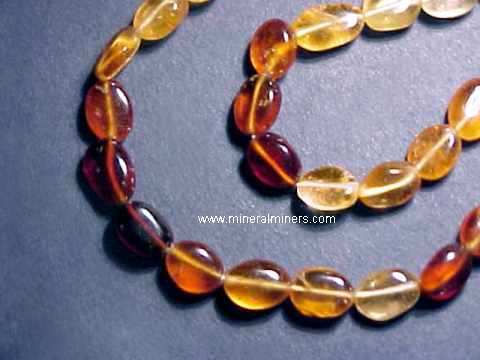 These genuine garnet gemstones have natural dark reddish color - they are unheated and untreated. Each of these natural red garnet earrings was handcrafted in 925 sterling silver and set with a superior grade 7x5mm oval faceted red garnet gemstone. 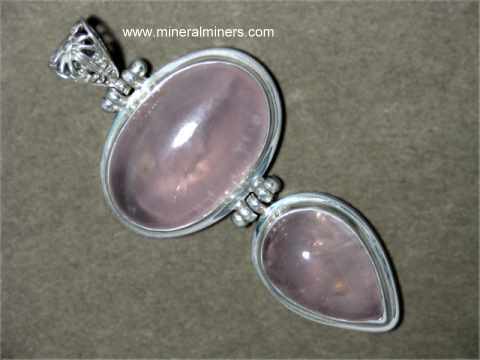 These genuine garnet gemstones have natural dark reddish color - they are unheated and untreated. Each of these natural red garnet earrings was handcrafted in 925 sterling silver and set with a 7x5mm pear shape faceted red garnet gemstone. These genuine garnet gemstones have natural dark reddish color - they are unheated and untreated. Each of these natural red garnet earrings was handcrafted in 925 sterling silver and set with two faceted gems of natural dark red garnet: a 5mm sqaure, and a 7x5mm pear shape. These natural garnet gemstones have beautiful dark reddish natural color - they are unheated and untreated. See also another view of these genuine red garnet earrings. Each of these natural red garnet earrings was handcrafted in sterling silver and set with two faceted gems of natural almandine garnet: a 6mm round, and a 6x3mm marquis shape. These natural garnet gemstones have beautiful dark reddish natural color. These natural red garnet earrings were handcrafted in sterling silver and set with 9x6mm pear shape natural almandine garnet cabochon gemstones. These lightly included natural garnet gemstones have beautiful dark reddish natural color. Each of these natural red garnet stud earrings was handcrafted in sterling silver and set with three faceted almandine garnet gemstones: a 5mm round, a 4mm round, and a 9x6mm pear shape. These natural garnet gemstones have beautiful dark reddish natural color. These natural garnet stud earrings were handcrafted in sterling silver and set with eight natural almandine garnet faceted gemstones (two 3mm rounds, one 5mm round, three 6x3mm marquis shapes, one 4mm diameter square shape, and one 6x4mm pear shape). 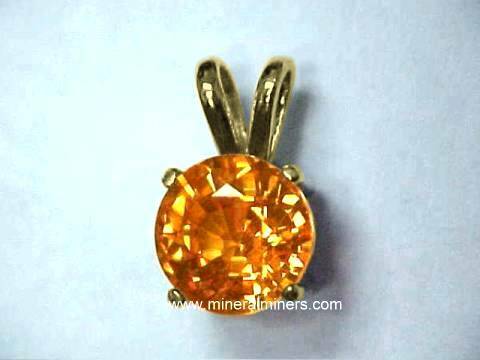 These natural garnet gemstones have beautiful orange-red natural color. Each of these natural red garnet stud earrings was handcrafted in sterling silver and set with two faceted almandine garnet gemstones: a 5mm round, and an 8x5mm pear shape. These genuine garnet gemstones have beautiful dark reddish natural color. These beautiful red garnet stud earrings were handcrafted in sterling silver and set with five 5mm round faceted almandine garnet gemstones. These natural garnet gemstones have beautiful dark reddish natural color - they are unheated and untreated. 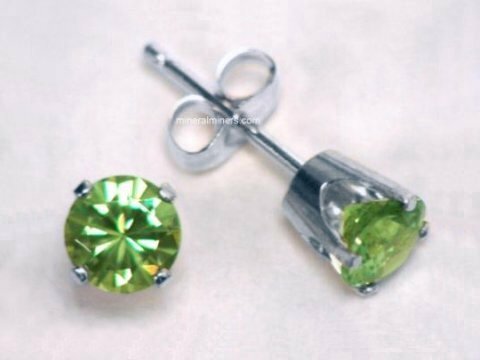 Each of these natural garnet stud earrings was handcrafted in sterling silver and set with two natural almandine garnet faceted gemstones and with two natural peridot faceted gemstones! 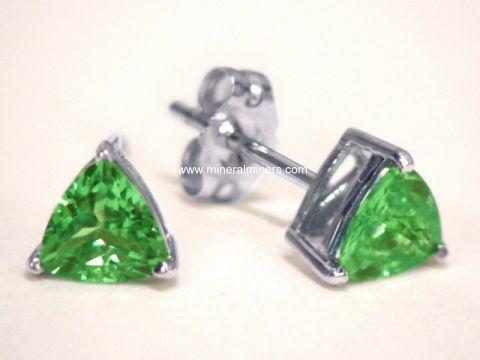 The two peridot gems are 5mm rounds, the two garnet gems are a 5mm round and a 9x6mm pear shape. 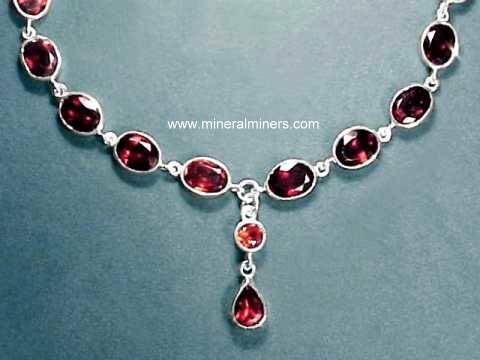 These genuine garnet gemstones have beautiful dark red natural color. This pair of 14k white gold leverback earrings is set with 10x8mm cushion cut Mozambique garnet gemstones with checkerboard faceted tops and very dark red color (100% natural color; unheated and untreated). They appear almost black under some lights, with deep red flashes in their depths. 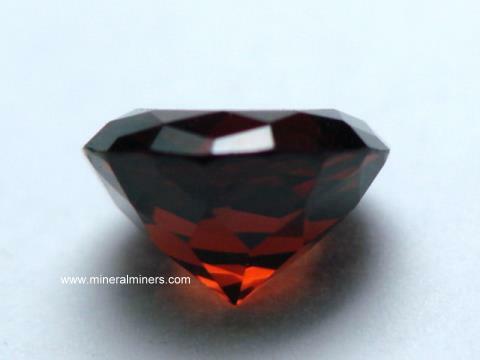 These beautiful Mozambique garnet gemstones appear clean, and they are very well cut! Under closer inspection with bright illumination they show some faint natural inclusions (GIA: Type I, SI/VS). See also a full view photo of these beautiful red garnet earrings. This pair of 14k white gold leverback earrings is set with 9mm trillion cut Mozambique garnet gemstones with very dark purplish-red color (100% natural color; unheated and untreated). They appear almost black under some lights, with deep red flashes in their depths. 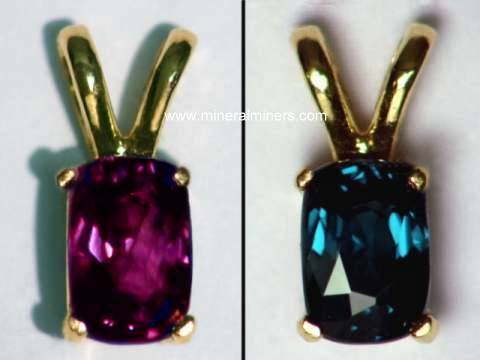 These beautiful Mozambique garnet gemstones face up clean. 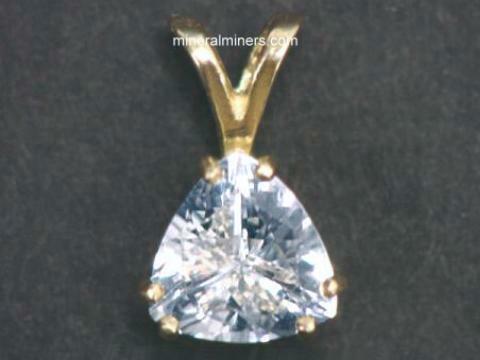 Under close inspection with bright illumination they show some faint tiny natural inclusions (GIA: Type I, VS), and they are very well cut. See also a full view photo of these natural red garnet earrings. This pair of 14k white gold stud earrings is set with 9x7mm Mozambique garnet gemstones with very dark red color (100% natural color; unheated and untreated). They appear almost black under some lights, with deep red flashes in their depths. These fine quality Mozambique garnet gemstones are totally clean under close inspection (GIA: Type I, VVS), and they are very well cut. See also a side view photo of these natural color red garnet earrings. These natural red garnet stud earrings are set in solid 14k yellow gold with fine quality 11x9mm checkerboard oval cut Mozambique garnet gemstones with very rich dark red color (100% natural color; unheated and untreated). These beautiful Mozambique red garnet gemstones are eye clean, and they were very well faceted. Each of the fine quality gems in these natural red garnet earrings weigh 4.5 carats (9.0 carats total weight). This pair of solid 14k white gold stud earrings is set with very beautiful 7mm round checkerboard cut Mozambique garnet gemstones with rich dark red color (100% natural color; unheated and untreated). These deep red garnet earrings are face up eye clean with faint natural inclusions visible only under close inspection (GIA: Type I, VS), and they are exceptionally well faceted. These 14k yellow gold stud earrings are set with lovely 8mm trillion cut Mozambique garnet gemstones with very rich dark red color (100% natural color; unheated and untreated). 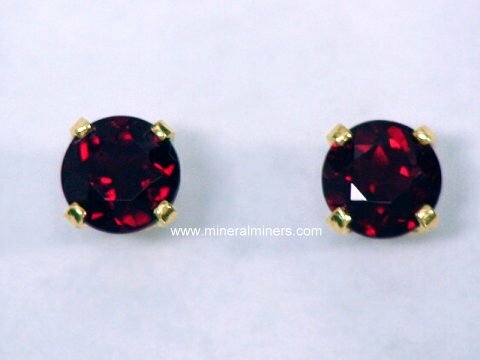 These fine quality Mozambique red garnet earrings face up clean, and they were very well faceted. 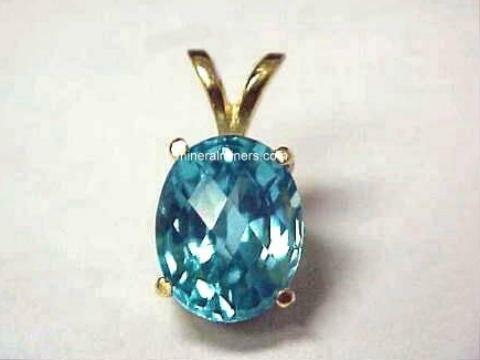 They weigh just over 2 carats each (4.1 carats total weight). 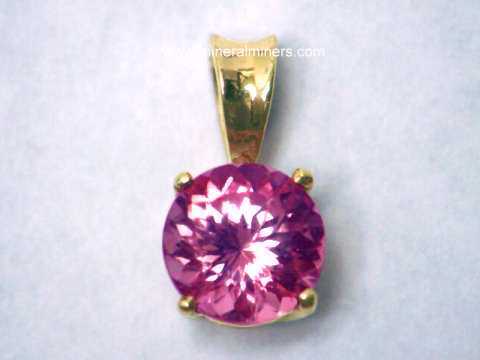 This 14k yellow gold pendant is set with a 7.5mm round faceted Mozambique garnet gem. 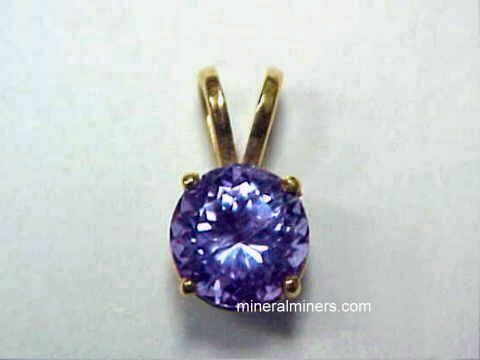 This beautiful gem has fine dark red natural color - it is both unheated and untreated. 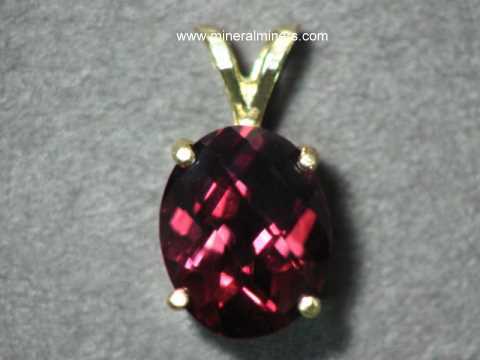 The natural garnet gem in this beautiful red garnet pendant is eye clean and it is well cut with good brilliance. 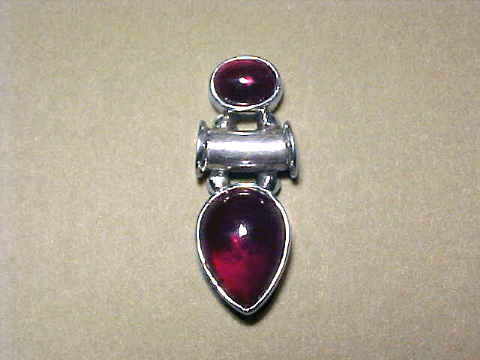 See also a side view photo of this natural red garnet pendant. 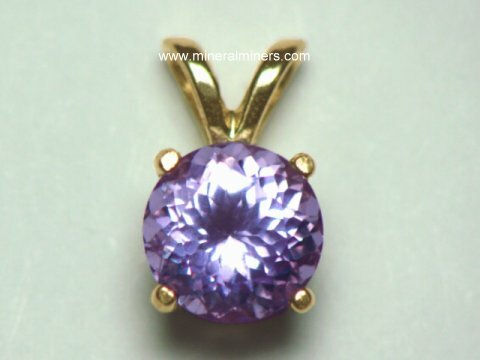 This 14k yellow gold pendant is set with a 10mm round faceted Mozambique garnet gem. 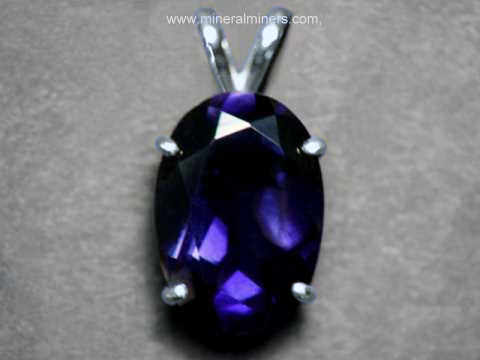 This dark gem appears almost black with deep red flashes under bright light. 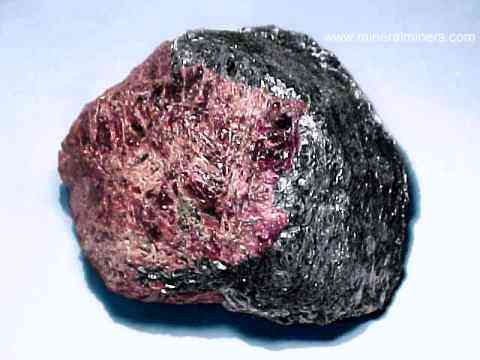 It has very dark red natural color - it is both unheated and untreated. 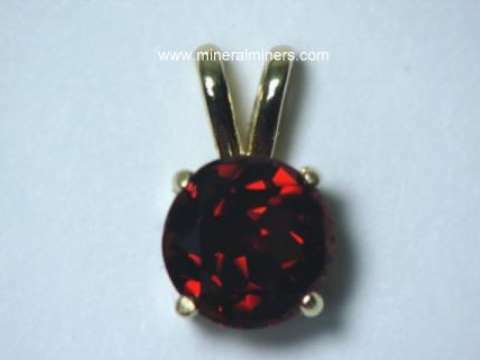 The natural garnet gem in this dark red garnet pendant faces up eye clean, and it is very well cut. See also a side view of this natural dark red garnet pendant. 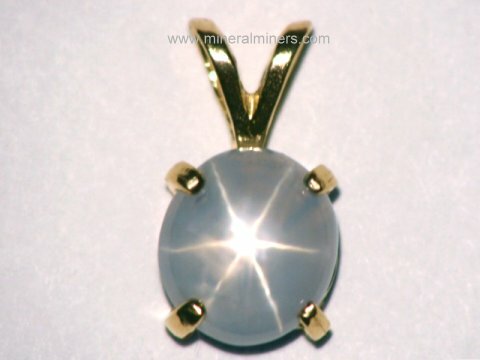 This 14k yellow gold pendant is set with a 14x10mm oval faceted Mozambique garnet gem. 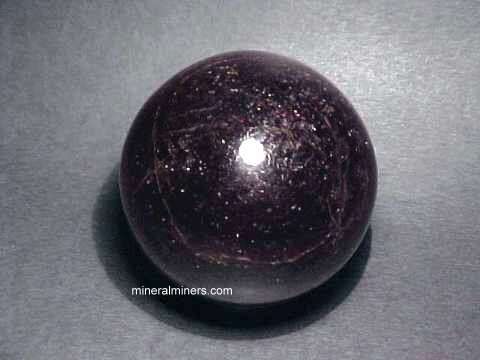 This dark gem appears almost black with deep red flashes under bright light. 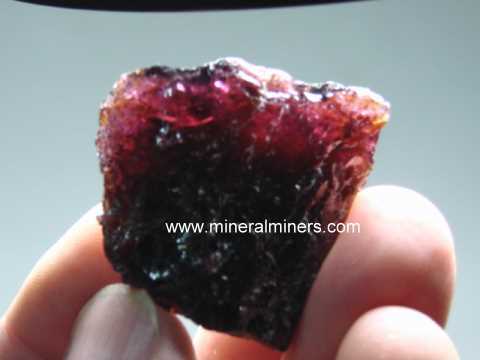 It has very dark red natural color - it is both unheated and untreated. 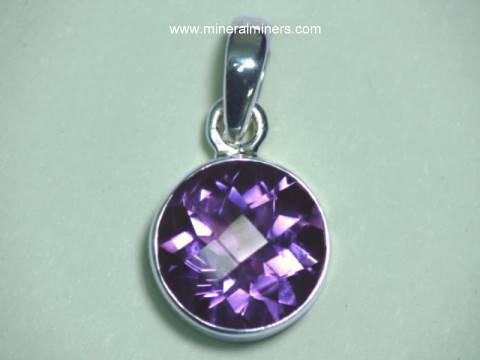 The superior quality garnet gem in this dark red garnet pendant faces up clean, and when examined closely with bright illumination it shows some very faint natural inclusions which absolutely guarantee its natural origin. 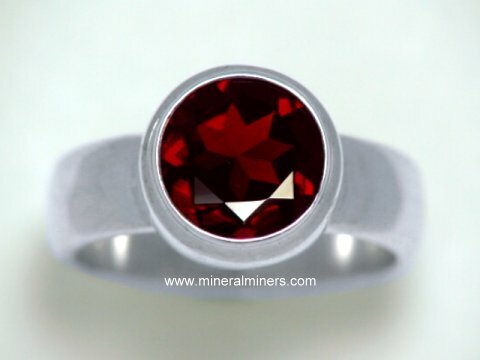 This beautiful dark red garnet gem is very well cut. 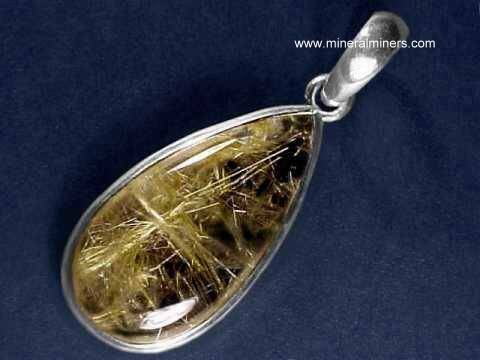 See a top view of this natural dark red garnet pendant. See also a side view of this dark red garnet jewelry design. Our Almandine Garnet Jewelry is all natural color purple & red garnet jewelry! Each item of our almandine garnet jewelry is set with natural untreated almandine garnet gemstones! We have natural almandine red garnet jewelry items available with faceted almandine garnet gemstones, and also with cabochon gems of natural red-purple almandine garnet. We have faceted red garnet jewelry items set in solid 14k gold in red garnet earrings, and also in 14k gold garnet pendants. 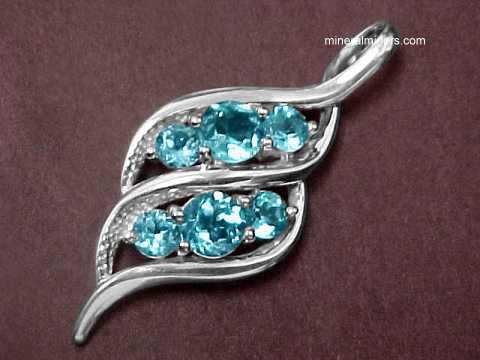 We also have a large selection of beautiful almandine red garnet jewelry designs all set in 925 sterling silver with many unique styles of red garnet rings, red garnet bracelets, red garnet earrings, pendants and red garnet necklaces. 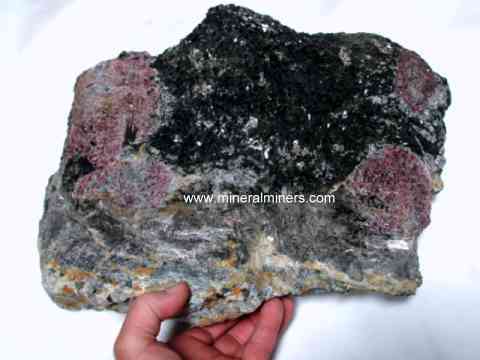 See also our page displaying natural color red-purple almandine garnet crystals, our almandine garnet crystals in matrix, and other almandine garnet mineral specimens. 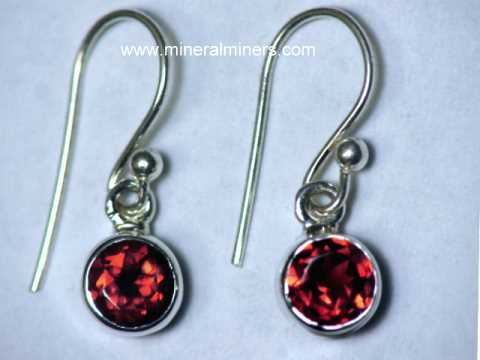 See our page with genuine chrome pyrope anthill garnet earrings (pyrope garnet earrings). Be sure to see our natural color deep red garnet earrings. 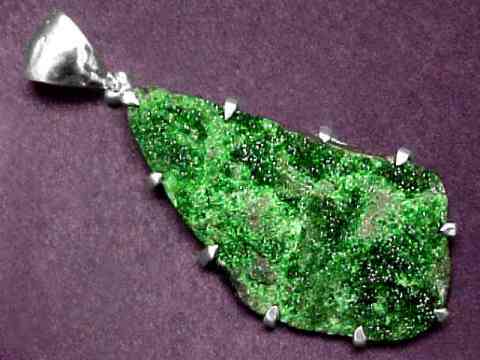 We also have many other natural jewelry varieties available! 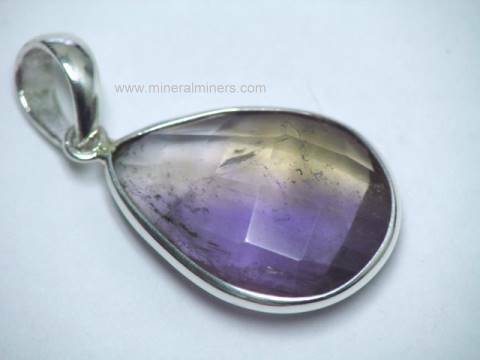 We are offering a huge selection of natural gemstone jewelry items with a very large variety of handcrafted gemstone rings, necklaces, bracelets and earrings. 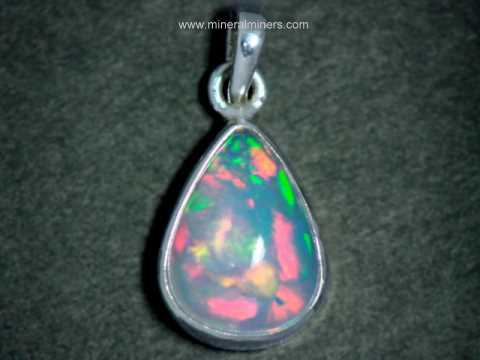 See the links below for a selection of superior quality genuine gemstone jewelry in rings, necklaces, bracelets and earrings. 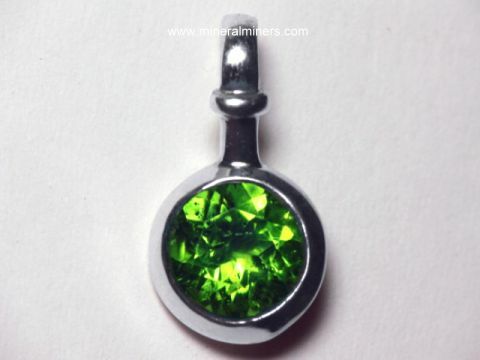 Would you like us to inform you when we add on this page more natural almandine red garnet rings, natural red garnet pendants, natural red garnet bracelets, natural almandine garnet necklaces, and natural red garnet earrings in 925 sterling silver, 14k yellow gold, and 14k white gold? We have a large inventory of natural red garnet jewelry items in stock at our mineral warehouses, so be sure to let us know if you have any special requests.